Alert: The Betty Dunn Nature Center is closed for renovation. All trails are still open. Incredible views. Incredible waterfalls. 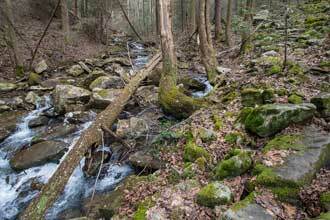 This short loop has it all. And if you go on weekends, it'll have crowds too, so there's that. 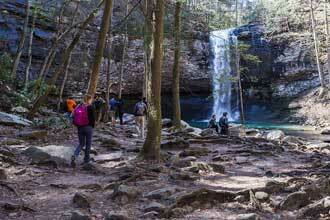 Fall Creek Falls is one of the most popular state parks in Tennessee and for good reason. This hike captures the major highlights. 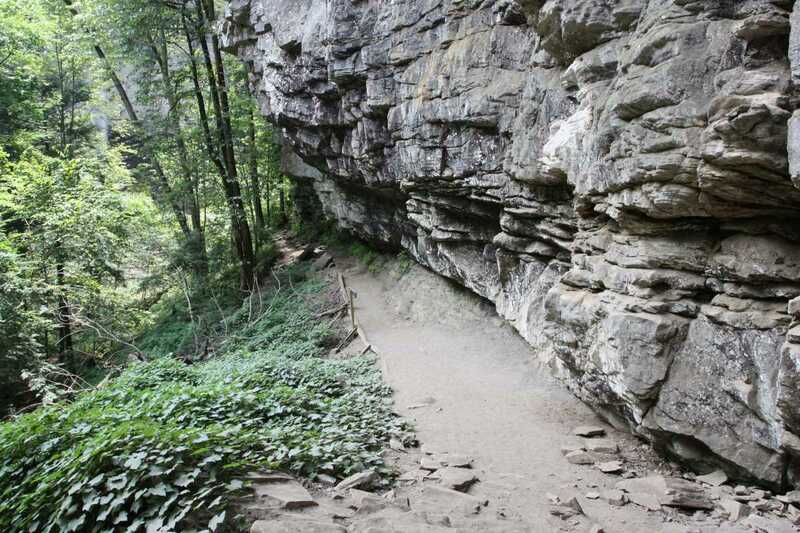 The hike begins to the left of the Betty Dunn Nature Center, but before you begin, explore around a bit. 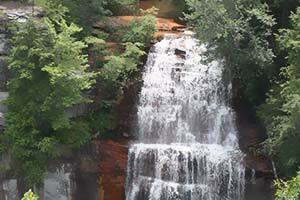 Several overlooks and short paths lead down to Cane Creek Cascades. 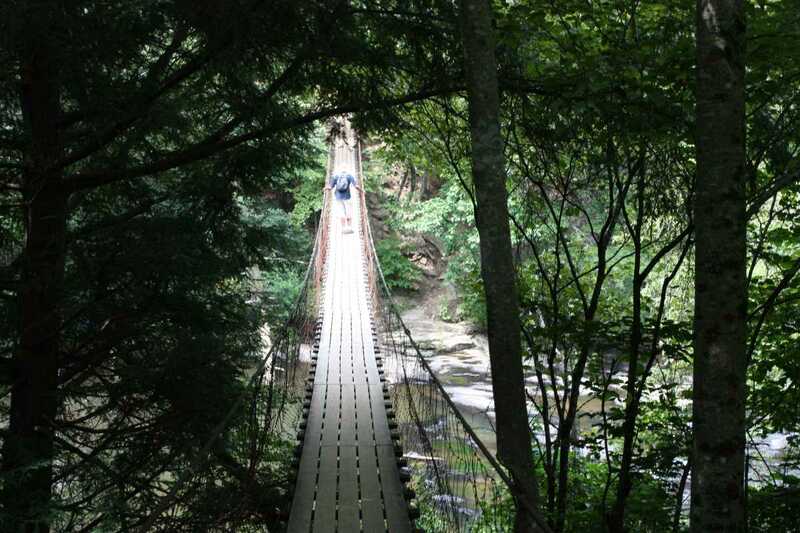 Cross the suspension bridge over the cascades to start the hike. During busy times, the bridge becomes a bottleneck so get there early. Shortly afterward, the trail crosses two intersections. All trails are well marked so you should have no trouble navigating. 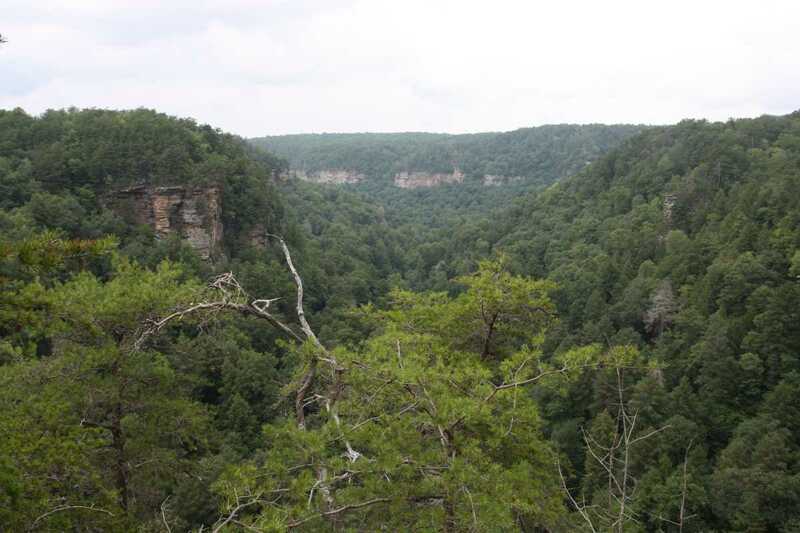 The second intersection is where the Gorge Overlook Trail begins a short loop with the Woodland Trail. 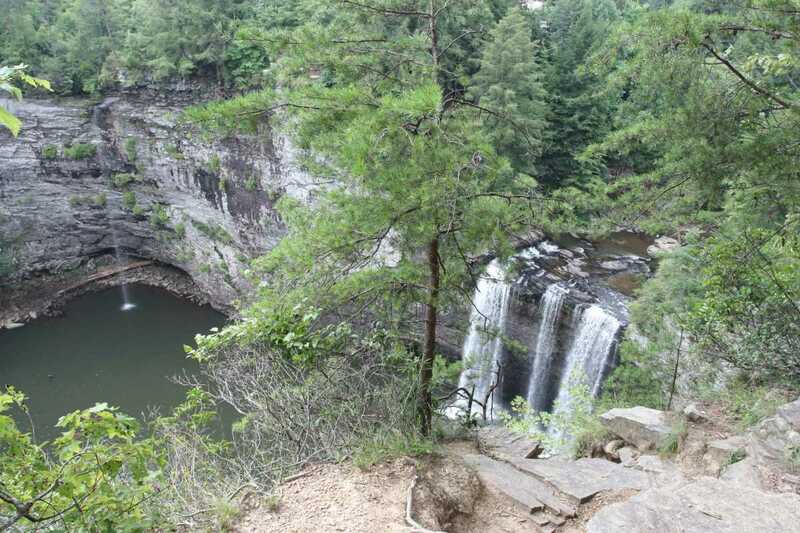 Take the Gorge Overlook route for three marked side trails to views of Cane Creek Falls and excellent views of the surrounding gorge. 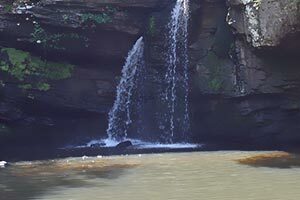 Once you join back with the Woodland Trail, it's just a short distance to the Fall Creek Falls Overlook for an impressive view of the 256ft park namesake waterfall. Continue on past the overlook to hike down to the base of the falls. 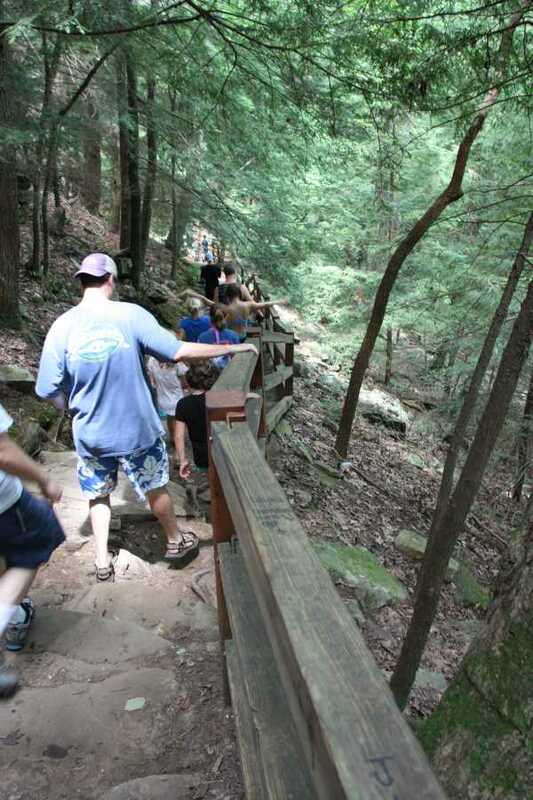 The trail is very rocky but there are plenty of handrails the entire way down. 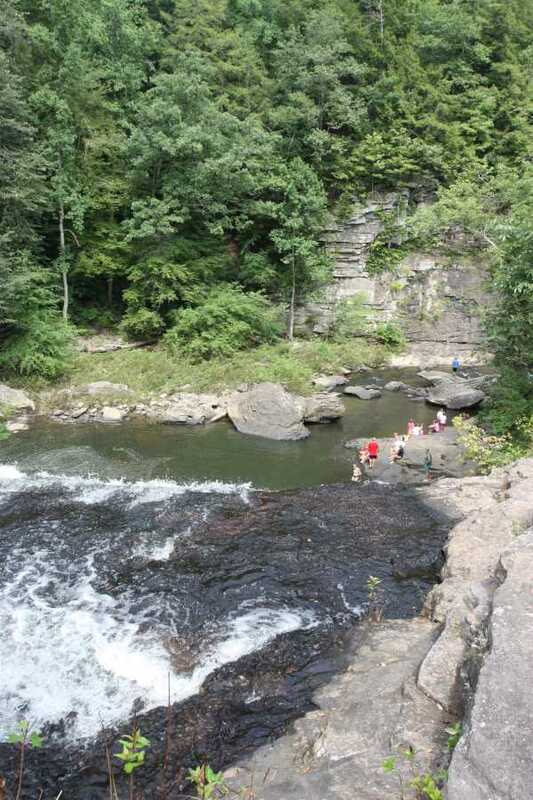 The trail turns right along the exposed rock of the gorge before coming to the base of the falls. 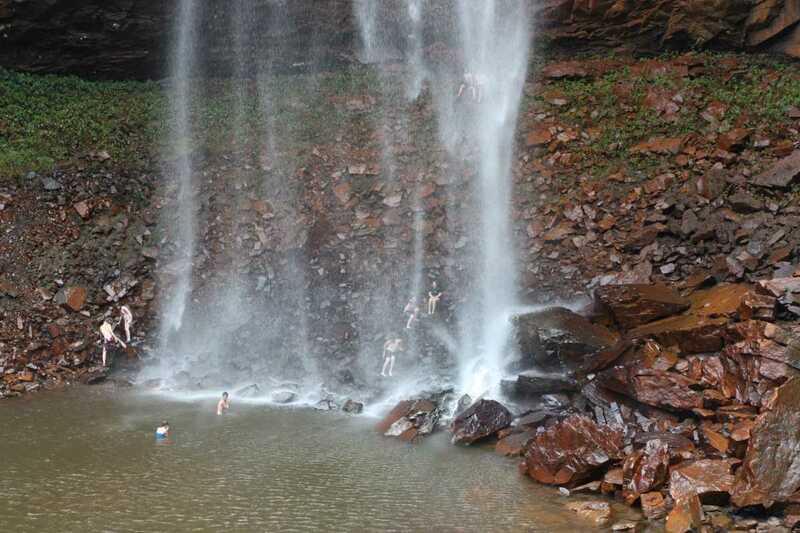 Swim in the pool at the base or just chill on the large rocks surrounding the falls. 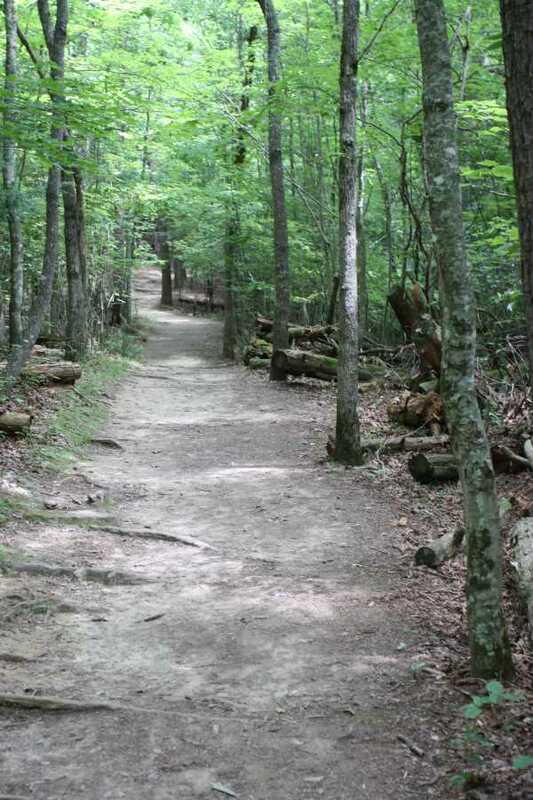 The trail drops 260ft within .2 miles making the way back up the most difficult part of this hike. 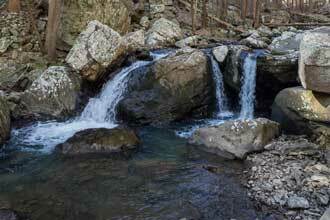 On the way back, take the Woodland Trail to make a lollipop loop out of this hike. 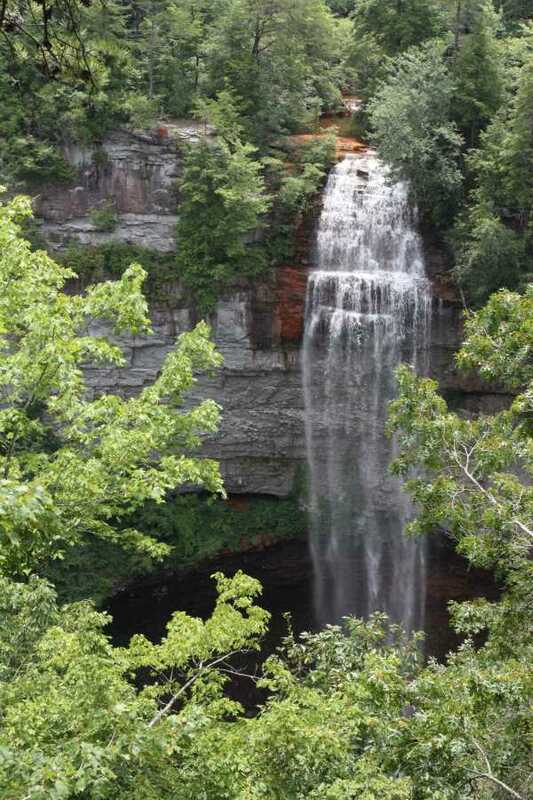 If you want to skip the loop and just head down the falls, check out Fall Creek Falls via Base of Falls Trail. 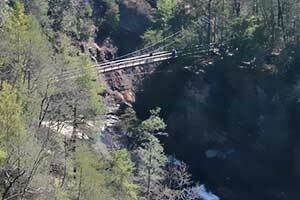 Dogs are allowed on all the hiking trails in the park but rangers strongly suggest you do not bring them on the steep Cable Trail. 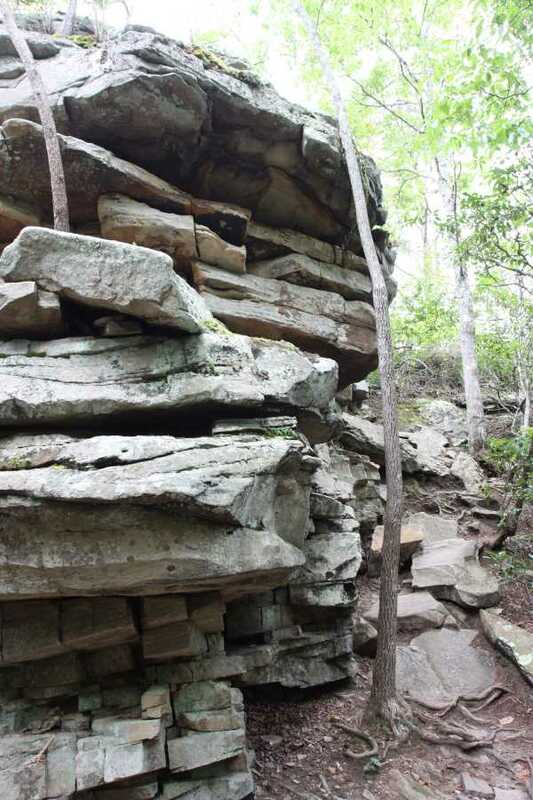 Most areas along the trail have railings but there are a few steep drop offs to watch out for. 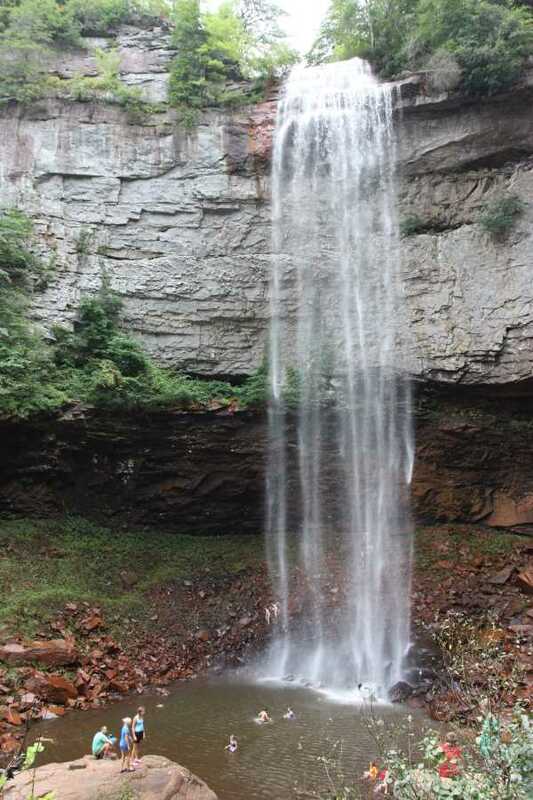 Huge waterfalls. Gorge views. Such a short hike really packs in a lot. 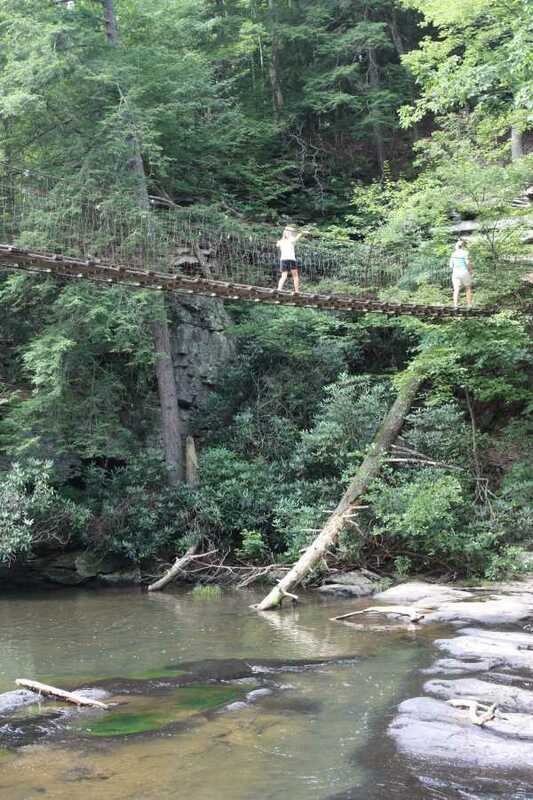 A must hike and suitable for the entire family. Don't delay. Hike today!